Hello and thank you for taking the time to read my Bio. I have been working for Miranda Real Estate Group for over 16 years now. I live in the Clifton Park, Southern Saratoga area and have two children that have attended Shenendehowa schools. I am very active with school activities as well as community events. If you know of anyone looking to buy or sell in the Capital Region please keep me in mind. I know the area well and have helped many people find homes or sell their home. "Sold a Single Family home in 2018 in Clifton Park, NY. Local knowledge: Process expertise: Responsiveness: Negotiation skills: Jackie was very knowledgeable and helped us through the process from listing to the day of closing. She was in constant contact with us throughout the whole process, as we sold our home from across the country! She knew who to call and showed up for contractors when we couldn't. She kept us optimistic through everything and the closing went smoothly. I would highly recommend her for buying or selling your home." "7/26/18 Jackie Smith was great to work with. I would definitely recommend her if you are looking to buy or sell your home. She helped us find the perfect home to buy and sold our house on the first open house with multiple above asking price. She was very easy to work with and always responded back quickly." "6/30/18 Jackie helped me purchase my first home and made the process as painless as it could possibly be. She is very knowledgeable of the area and I recommend her all the way!" "1/17/18 "Jackie was awesome!! We never expected that my parents home would be sold in 1 week!! 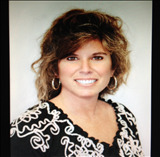 Her experience and expertise in the local real estate market is exceptional." "
"11/01/2017 - lshrake Sold a Single Family home in 2017 in Clifton Park, NY. Jackie is very conscientious and goes the extra mile in all she does by updating us weekly on current sales in our area, statistics on housing market in our neighborhood and did everything she could in connecting with all realtors in the Capital Region to make them aware of our home." "07/22/2017 - gcummingsdanson Sold a Townhouse in 2017 in Clifton Park, NY. Jackie Smith is a true professional and a real estate expert. She made selling our home so simple and managed all details extremely well. She offered her expert opinion on pricing and the overall market and was spot on with all recommendations. We would absolutely use Jackie again and would highly recommend her.The best real estate agent we have ever used! 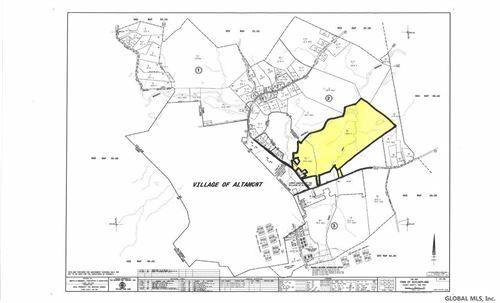 Highly likely to recommend 06/03/2017 - user81818673 "
" Highly likely to recommend 05/01/2017 - gwizdms Sold a Single Family home in 2013 for approximately $375K in Rexford, NY. I first met Jackie at an open house when I was searching for a real estate agent to sell our home. My intent was to go to several open houses in the area to see how the selling agent represented the seller. After visiting several open houses I felt Jackie was the best out of all the agents I met that day. Needless to say we listed with Jackie and sold our home in a weekend. She made our first experience of selling a home effortless and handled any worry or questions we had through the process. Jackie Smith is the only agent we will ever need and will ever call! No need to look any further if you want the best! " "05/01/2017 - judy cuccolo Bought a Single Family home in 2013 for approximately $200K in Waterford, NY. Jackie worked with Us for quite a few months almost five years ago. She was very professional and had a refined way about Her...She was punctual, did her homework about the Real Estate Market and was honest which impressed me the most. I am grateful for her assistance and finding such a good spot for my husband and myself and would surely use Jackie's services again if needed in the future.... You can not go wrong with Jackie!!" "Highly likely to recommend 05/02/2017 - acrev Bought and sold a Single Family home in 2005 for approximately $400K in Schenectady, NY. Jackie helped us sell our home so that we could relocate closer to our children's high school. She was fair and reasonable in all of her suggestions to prepare our home for the sale. She kept us well informed and while also handling the purchase of our new home. She sold our home in 5 days, during the first open house she brought us a buyer. She stayed by our side throughout the entire process and always kept our families best interest at heart. We sold and closed both houses within 8 weeks. Jackie was quick and efficient and we would highly recommend her to any seller or buyer. We have recommended Jackie in the past to friends that have had the same success in their real-estate adventures.Less "
"Highly likely to recommend 05/02/2017 - dboyea000 Bought a Single Family home in 2015 for approximately $400K in Ballston Lake, NY. BEST agent to work with and we have had several moves in our lives. She is very accommodating, friendly, warm and very easy to work with. She made the sometimes exhausting chore of home searching , we looked at about 50 homes, fun and enjoyable. She was also willing to look at More "
"Highly likely to recommend 06/01/2017 - teach2022 Helped me rent a Multi Family home in Rexford, NY. Jackie is a wonderful realtor. She is very personable. She recognizes what you need and want before you realize it!! Very knowledgeable about the area also." "06/02/2017 - user81818673 Bought and sold a home in 2016 in Clifton Park Center, Clifton Park, NY 12065. Jackie has helped us sell and purchase 2 homes. She was knowledgeable, attentive and focused on helping us in each transaction. We highly recommend Jackie to anyone wishing to sell/purchase!"